Kendrick Kreations 7th Annual "Handmade for You", home show and sale, featuring local artists, December 1, 2018, 10am-4pm. 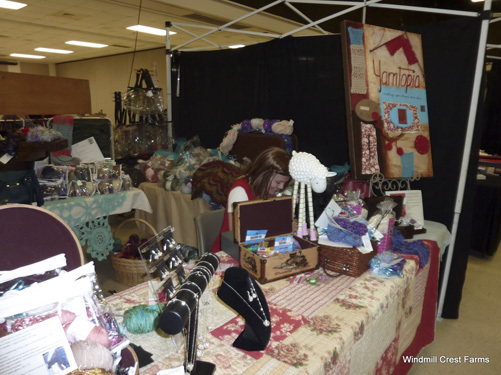 Kendrick Kreations presents: 5th Annual Handmade for You, December 12, 2015, 10am-4pm, in San Marcos, Texas. 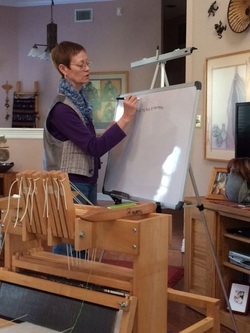 Saori Style Weaving Day, April 25, 2015, by invitation. A photo of the finished banner and the lucky recipient will be posted after the 25th. Kendrick Kreations presents: 4th Annual Handmade for You, (formerly known as Trunk Show, December 13, 2014. Yes, we are doing it again! This will be the fourth event of its kind here in my studio and as always, we try and make it even better than the previous one! December 13, 2014, 10am-5pm, 404 Browne Terrace in San Marcos, Texas. This will be a terrific opportunity to shop for the perfect gift for those special folks on your list this year! There will be handwoven items, hand-knitted items, hand-dyed yarns and fiber for spinning, batts, one-of-a-kind jewelry, handspun yarns, weaving kits, spinning fiber sampler packets, handmade pottery, miscellaneous tools and supplies, a 10" (NIB) Cricket loom, and handmade felted items for sale. Also, as in years past, there will be a "sale room" with closeout sale yarns and miscellaneous items (this room, cash only). 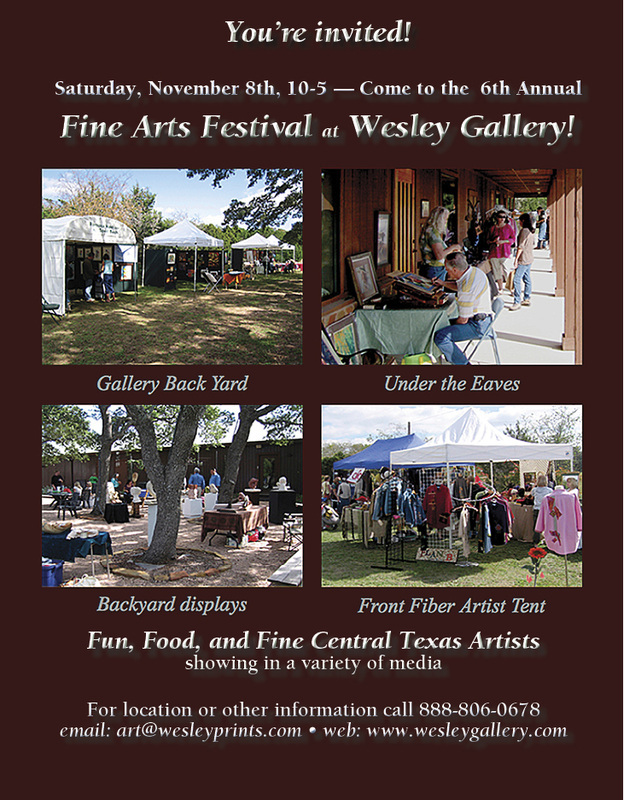 Wesley Gallery Fine Arts Festival, November 8, 2014, 10am-5pm. May 30, 2014. 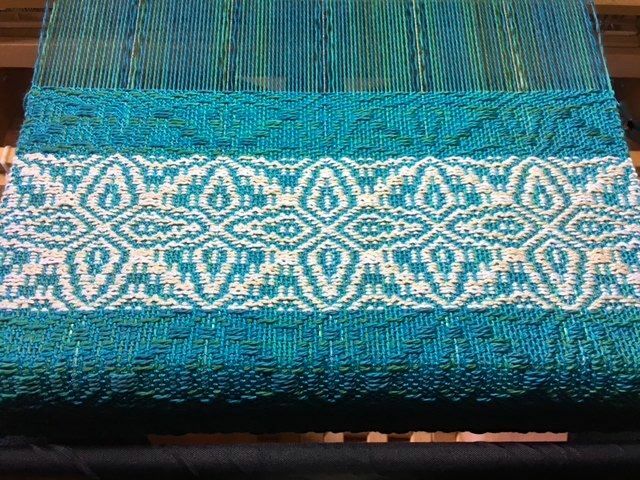 Saori style weaving day at Kendrick Kreations Fiberarts Studio. 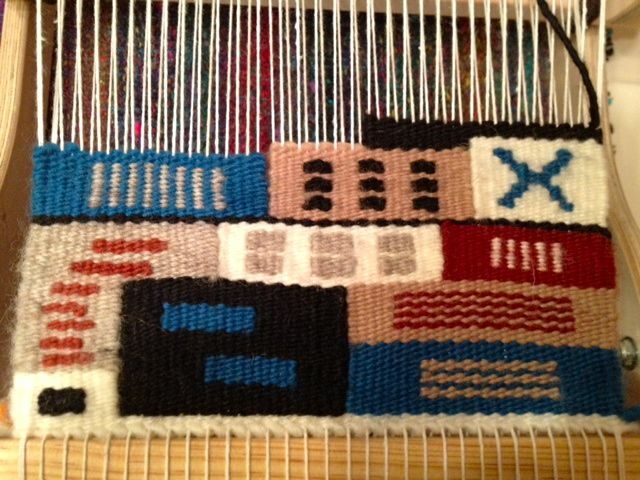 We host this type of event once or twice a year with about 6-8 weavers all working on the same piece. At the end of the day, a name is drawn and someone gets to take the weaving home with them. January 18, 2014. 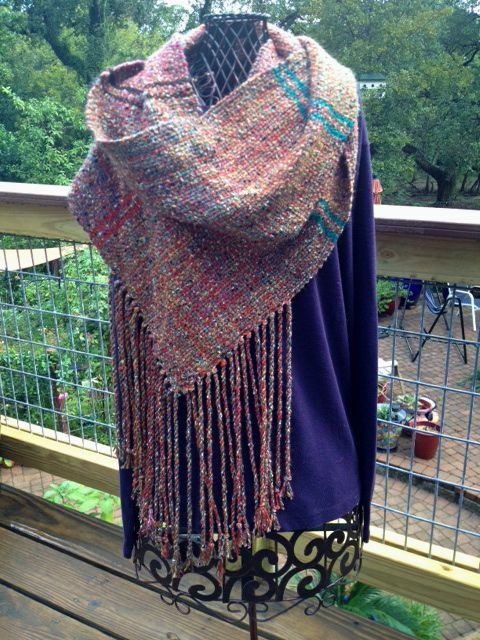 Summer and Winter Weaving Class, taught by Letitia Rogers at Kendrick Kreations Fiberarts Studio. 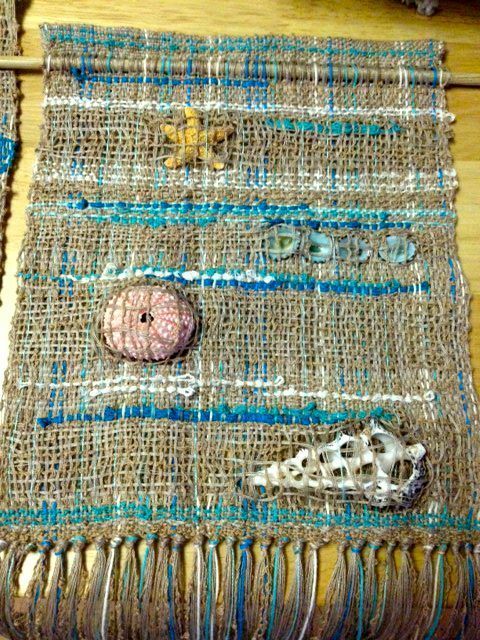 This was a two-day class on summer and winter weave structure with five students. Yellow Rose Fiber Producers Fiesta, June 6-8, 2014. 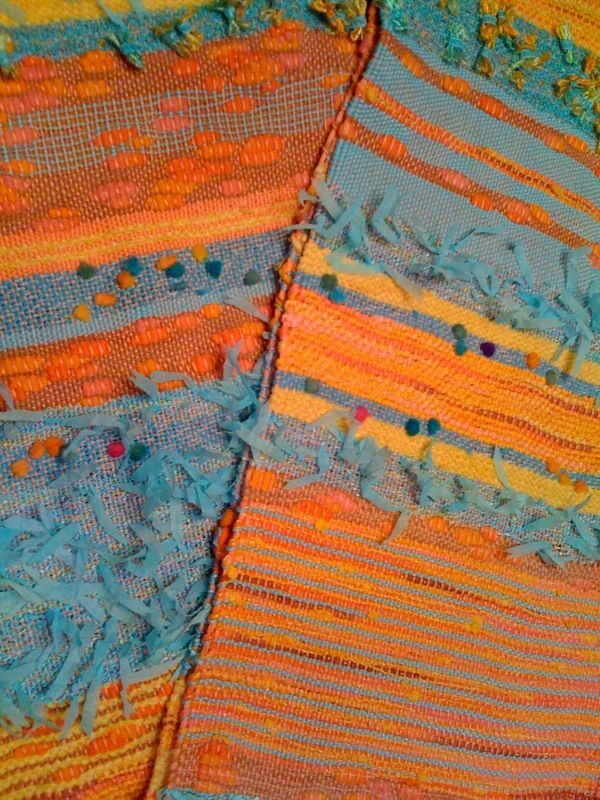 A great new fiber arts show in Seguin, Texas. More information here. 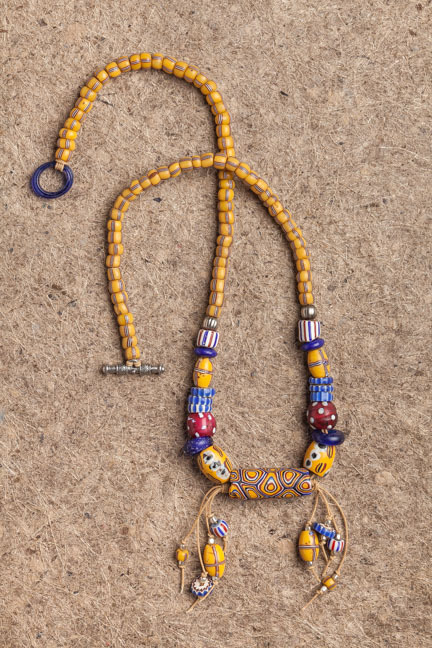 Third Annual Trunk Show, December 14, 2013. I hope you won't miss a great opportunity this season to find that perfect hand-made item for someone special on your list. This will be the third event of its kind here in my studio and as always, we try and make it even better than the previous one! December 14, 2013, 11am-4pm, 404 Browne Terrace in San Marcos, Texas. 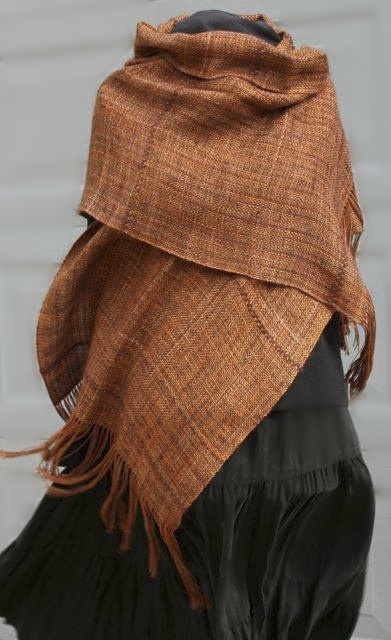 There will be handwoven items, hand-knitted items, hand-dyed yarns and fiber for spinning, batts, one-of-a-kind jewelry, handspun yarns, weaving kits, spinning fiber sampler packets, miscellaneous tools and supplies, a 10" (NIB) Cricket loom, and handmade felted items for sale. Also, as in years past, there will be a "sale room" with closeout sale yarns and miscellaneous items (this room, cash only). Kid 'N Ewe, November 8-10, 2013. 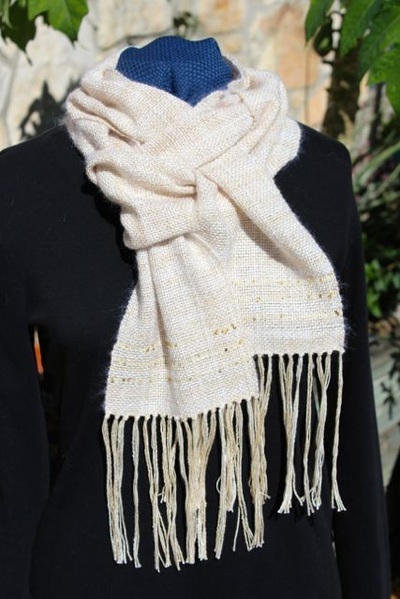 A great fiber festival in Boerne, Texas. Click here for more information. “Dress the Sheep” Contest, ended May 15, 2013. Details under Blog, beginning with April 2 entry. 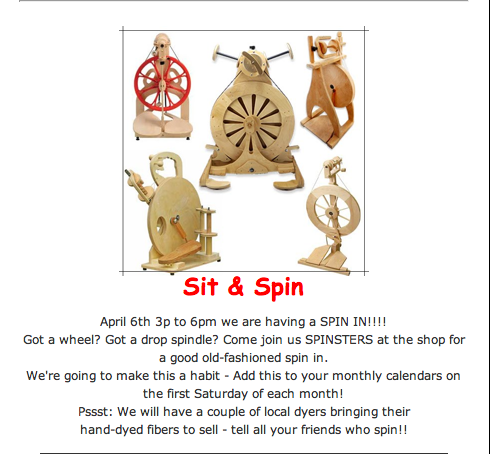 Sit & Spin at The Knitting Nest in Austin, Texas, April 6th, 3-6pm. 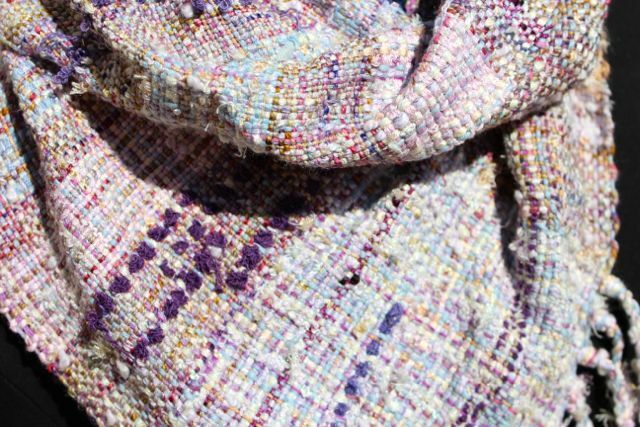 I am going to be one of the local dyers mentioned in the newsletter. 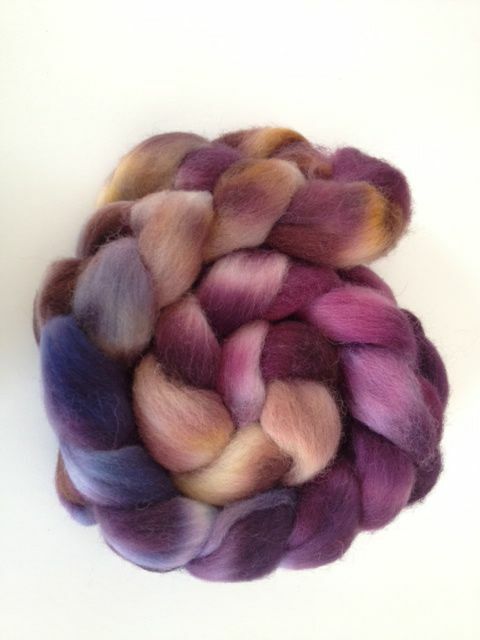 Plan to bring my inventory for sale -- dyed fiber and yarn and fiber batts as well. I'm also planning to spend the afternoon spinning -- will have my new Rose wheel there to demo and might also bring the Country Spinner 2. I hope you can join us! 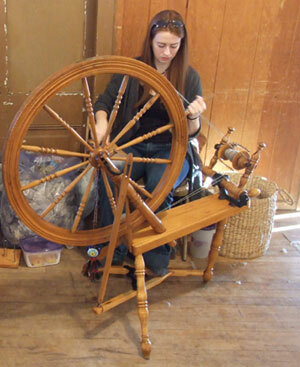 It's always fun to spend the afternoon spinning with friends. 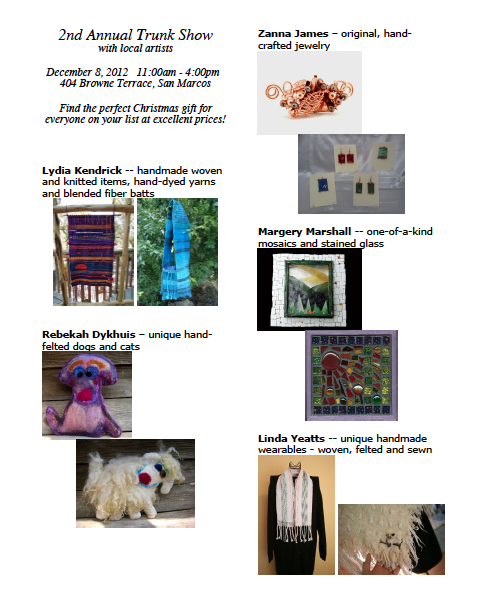 Second Annual Trunk Show, December 8, 2012. This year's show will be even better than last year! We are growing! 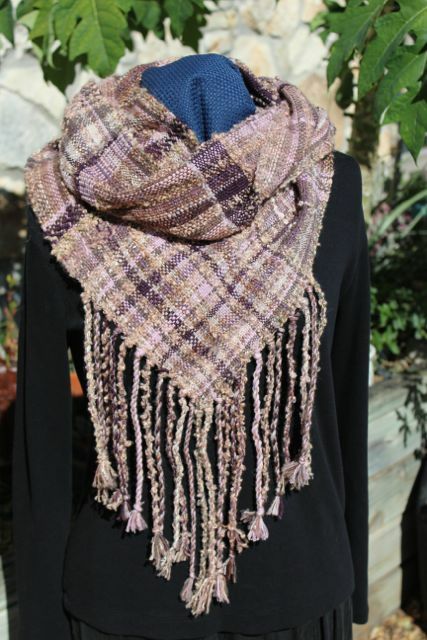 Last year there were three artists; this year, we are expecting to have five different artists selling their handmade wares. _I am so happy to be able to announce that Kendrick Kreations has acquired a Louet Megado for the business. 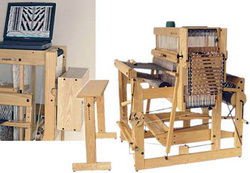 This is an electronic dobby with 16 harnesses and a weaving width of 44". With the hopes of spreading the word about the wonderful features of the Megado, a second "Loom Launch" / demonstration will be scheduled soon. 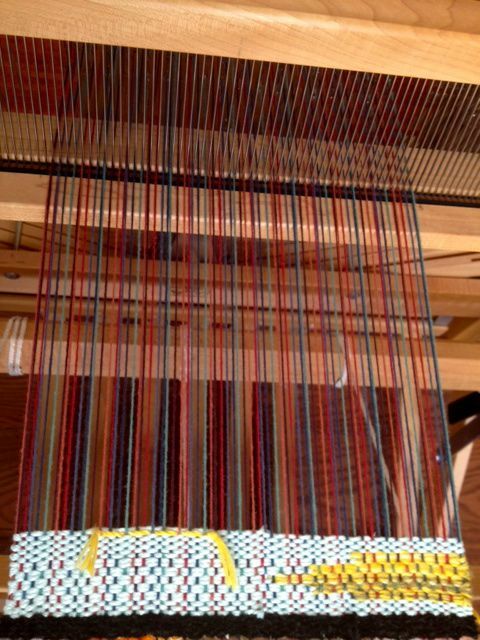 Of course, the students at the San Antonio School of Art will be invited to see it in action, as well as the local weaving guilds, prospective customers and students. Various Demonstrations Planned for 2012. Details forthcoming. Please check back. 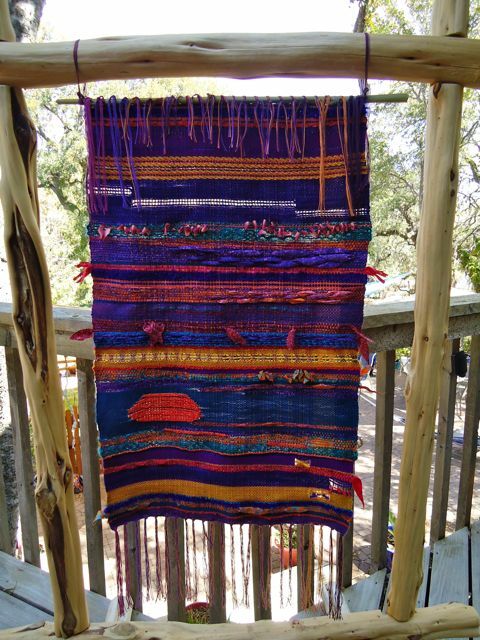 Tapestry Diary Presentation at Old Oaks Ranch, Wimberley, Texas. October 19-21, 2012. Wimberley Valley Art League annual show and sale -- "Fall into Art". Click here for details. 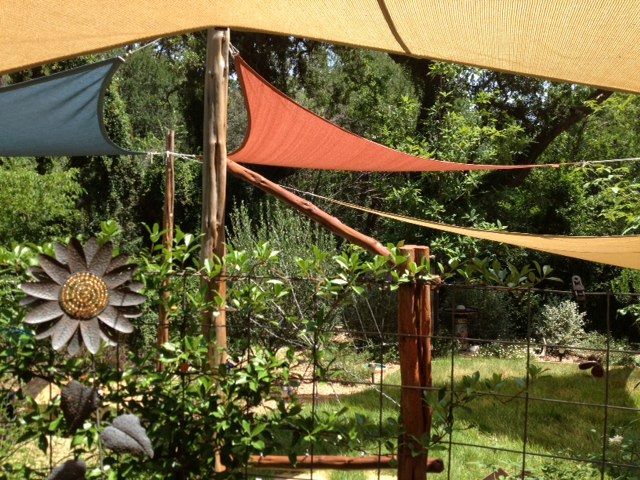 Saori Weave Day / Loom Launch #1 / Weaving Garden Tour - by invitation. 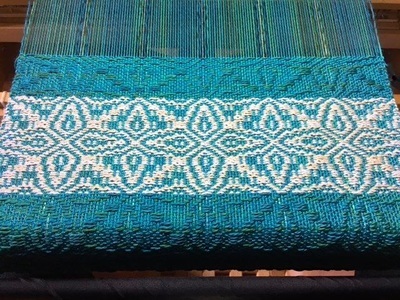 The Baby Wolf is warped and ready for the Saori Weave Day planned for July 14th. As you can see in the photo, I've put in a few picks to get the weaving started, so don't be shy! There will also be a demonstration of the Louet Megado for those in attendance; "Sophie" currently has an "M's & O's" project in the works. See Blog entries 07/14/2012 and 07/15/2012 for details and photos related to this event. Keep Austin Warped, May 5, 2012. 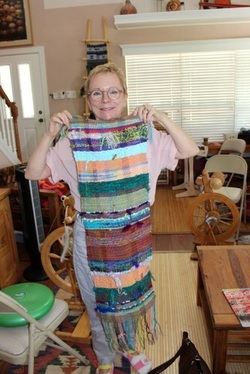 The Second Annual Sale by the Weavers and Spinners Society of Austin will be held at Highland Park Baptist Church, 5206 Balcones Drive, Austin, Texas 78731 on May 5, 2012, from 10:30am-3:30pm. Kendrick Kreations has two spaces reserved at this Show, so please stop by! Find the perfect gift for Mother's Day! Yellow Rose Fiber Fiesta, April 20-22, 2012. 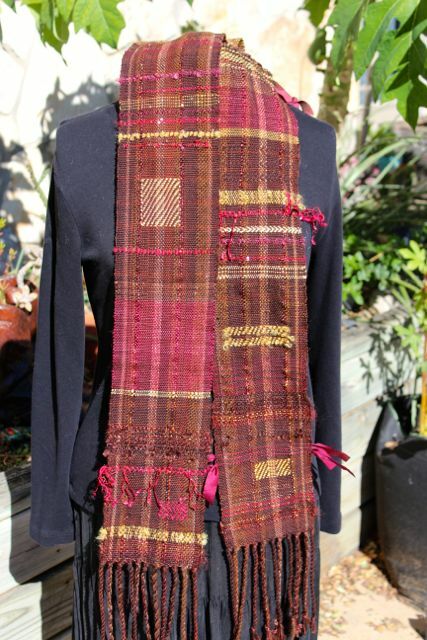 A great new fiber arts show in Seguin, Texas. Click here for more information. Name the Megado Contest, March 2012. Kendrick Kreations is planning a "Name the Megado" contest for the month of March. The person submitting chosen name will receive a prize. Details forthcoming. Please check back. Update 3/4/2012: The Megado is scheduled to leave Holland on a ship for Canada on March 13th! Entries may be submitted at any time via the Contact form (tab above) and the last day entries will be accepted is March 21st. The name will be chosen no later than March 31st. Entries may include an explanation as to why the name was picked or what the name means or anything that might be relevant. In the case of duplicate names being submitted, if the name is chosen, the first to submit it will get the prize. Winner will receive a prize, so put your thinking caps on! Let's give the new baby a name! 3/31/2012: AND THE WINNER IS...... "Sophie", submitted by Candace J. Congratulations, Candace and congratulations, "Sophie". This name was chosen out of 41 entries. Candace's remarks about the name were "sophisticated, yet knowable; exotic, yet familiar." 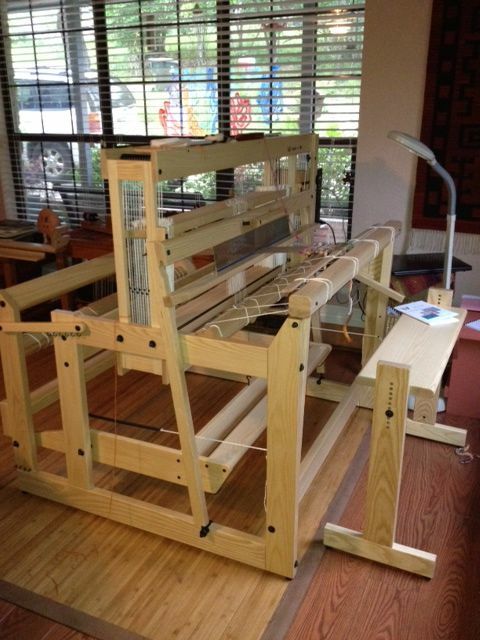 Thank you, everyone, for participating and naming the new loom! Sophie has yet one more long journey ahead of her. She made it to Canada last week and is shipping to Texas on Monday, April 1st. First Annual Trunk Show, December 10, 2011. 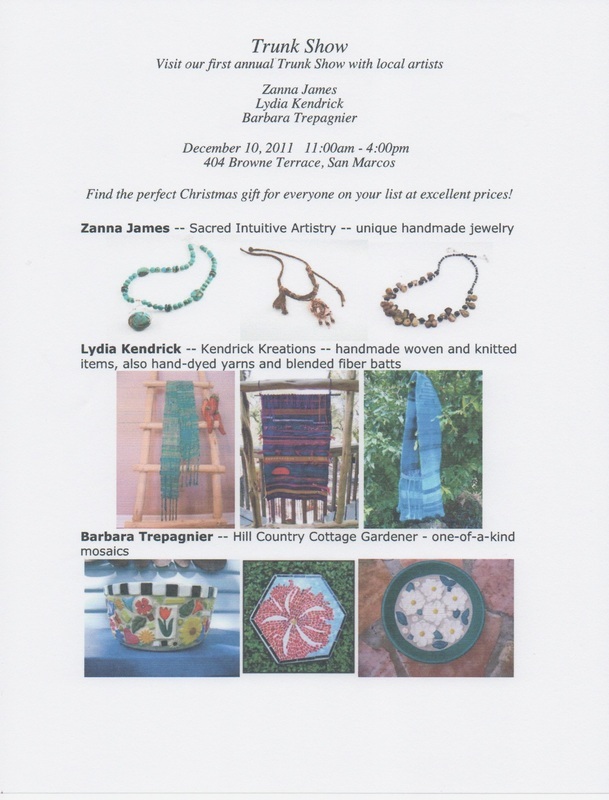 _The First Annual Trunk Show, held on Dec. 10, 2011, with Local Artists: Zanna James, Lydia Kendrick and Barbara Trepagnier was a great success! Thank you to all who supported us! We plan to do this again in early December, 2012. Please check back later for details on the 2012 show.